We are the number one Party Bus Company in Orlando Florida. See our fleet of luxury Party Buses in Orlando, and you will know why we have the best reputation and thereby the best prices in Central Florida. All Party Bus Companies in Orlando are not the same, so don’t be fooled by brokers that will rent you a bus and have never set foot in it!!! 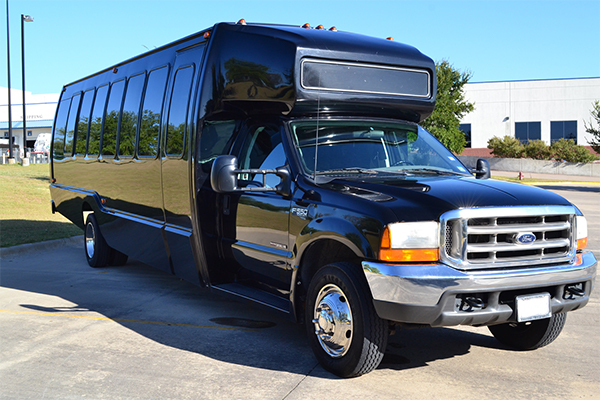 When you’re ready to rent a limo bus for any event, we have you covered. We also serve all of Central Florida including Daytona Beach, Melbourne, Vero Beach, and more. We are Orlando’s number one transportation service. 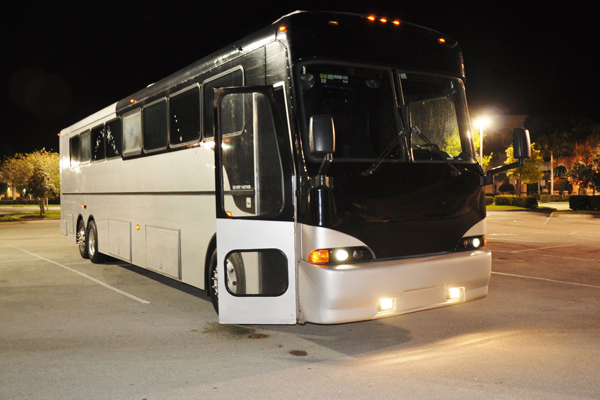 We have the most luxurious and most popular party buses in all of Central Florida. Rent from the most trusted transportation service in Orlando; we’ve supplied incomparable party bus service since 2001 and have an A+ rating with the Better Business Bureau. We are committed to bringing you quality, safe, and exceptional party bus service. Most of our competitors vehicles cannot even compare to ours; our party buses were custom designed and built from the frame up by top luxury bus manufactures, utilizing cutting-edge systems and the highest quality workmanship. 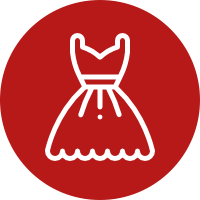 Our website shows you exactly what is available, and the shuttle bus you choose is exactly what picks you up! 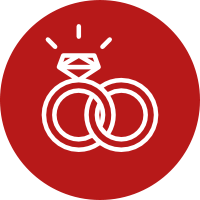 We strive for perfection in service and your happiness! 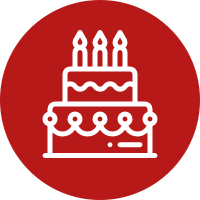 We’ll provide the party bus you requested with outstanding service you deserve! Need to transport a large group in comfort and style? Our 40 passenger party buses are the ultimate limo bus! They are extremely popular due to their spacious size and many amenities. Most feature exquisite black leather seating, dark hardwood floors, mutliple wet bars, multiple LCD TVs, in motion satellite, DVD/ CD player, a great sound system, full lighting and fiber optic package, privacy curtains, and restroom facilities! This is the ultimate Orlando party bus, it’s like a dance club on wheels! This versatile vehicle is perfect for long trips, large party groups, corporate charters, tailgating, and much more. Most of our 18 passenger party buses feature limo style custom leather seating, fiber-optic lighting throughout, multiple avonite-topped bars with cut glassware, mirrored ceilings, a 42″ LCD screen, DVD players, AM/FM CD players with Mp3/iPod inputs, surround sound system, restroom facilities, and more! This party bus is perfect for smaller groups, long trips, luxurious airport/ seaport transfers, corporate transportation, or even Church Street bar hopping. Looking to get a high quality party bus service in Orlando? You will want to make sure you have excellent transportation arranged when you arrive in the city, so book now to reserve your own party bus or limo to make the most out of your Orlando experience! Flying to our city? With nearly 100,000 passengers served daily, Orlando International Airport is a busy terminal with many individuals looking to secure transportation when they get on the ground, so beat the rush and book ahead of time. Orlando has many attractions. While most know of Disney World and other amusement parks, Orlando is a hub of transportation with many people looking to visit our museums, historic districts, or traveling from the airport to Port Canaveral to experience the space coast or to board a cruise. Orlando residents will also love our services, and whether it’s a bachelor party or prom, let us get you there in style. Whatever your destination, book one of our luxurious transportation services in Orlando and let us take care of your ride! Check out the images on the side of the page and click for more pictures of our whole fleet of vehicles or to receive a quote on any of our services. We offer a variety of vehicles that are sure to meet your needs. When you touch down in Orlando, you can have an airport transfer service in Orlando arranged to take you to the Ritz-Carlton or any other hotel. For those wanting to experience Orlando’s nightlife, look no further for your very own private party bus, or consider arriving downtown in a flashy yellow hummer limo. 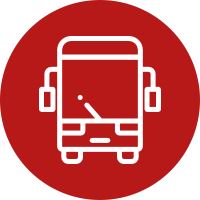 To make sure you get the vehicle that best suits you, our gallery of our Orlando coach bus pictures lets you look before you rent, and to make sure the vehicle cost fits your budget. If you’re traveling to Orlando in a large group, be sure to contact us ahead of time to reserve one of our spacious charter buses in Orlando that will surely fit your whole party. Call us and let us arrange the perfect vehicle for your transportation needs. Not only is Orlando home to world famous theme parks and night life, but we are also home to some of the best sports in the country. Looking to watch the Orlando Magic contend for a title? Consider an Orlando limo bus so your ride to the game will be as astounding as Amway Arena itself. The University of Central Florida Knights Football team is about to break into the Big East, so come here to watch future NFL prospects! Or perhaps you have a family member or friend graduating from UCF. Book with us and make sure you have reliable transportation in Orlando to and from one of the largest graduation ceremonies in the nation. Orlando is home to such a variety of attractions and events you’ll want to make sure you have the best transportation available to help you enjoy your time. From the time you arrive in MCO, to when you get to your hotel, and then onto the attractions that brought you to our city in the first place, we are here for you with our amazing VIP bus services in Orlando. Don’t wait and rely on the airport, hotel, or amusement park to handle your transportation. Book with us, select any Orlando party bus from our enourmous fleet of vehicles and have the peace of mind that professional, knowledgeable drivers will take you safely and promptly to your destinations.